The Wyoming Highway Patrol is now accepting applications for State Trooper I & II positions. To start the application process, applicants must complete the Public Safety Testing (PST) prior to filling out the state application. The patrol recently partnered with Public Safety Testing to create a more convenient process which will make it affordable and effective for qualified applicants to apply. The new process allows candidates to test at several locations throughout the United States. Out-of-state applicants will now have the ability to select testing locations near them. The applicant can pick a date and location creating more flexibility with their schedules. They can complete the PST application online and receive study guides and other materials to prepare themselves for the test. Once applicants have completed the PST process, they will be notified of their results immediately. The new testing will begin immediately to be used with our upcoming hiring process in May 2019. An applicant’s test will be good for up to two years after he or she successfully passes this phase. 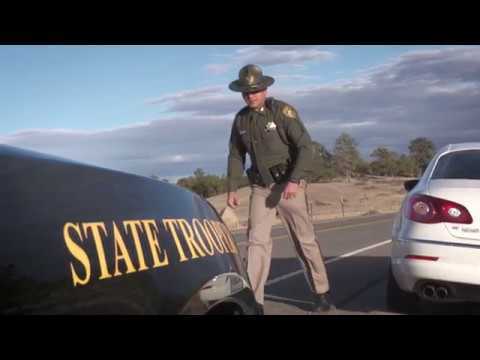 The Wyoming Highway Patrol is currently hiring for both Trooper I and II positions. You must first successfully pass a written examination with Public Safety Testing to be eligible to be invited to the May 29th event in Cheyenne. You may test anytime with PST between now and May 24, 2019. Please contact Sgt. Jeremy Beck at 307-777-4306 to begin your exciting career with the Wyoming Highway Patrol.